When we think of burglars, we picture individuals all clad in black sneaking into your property in the middle of the night. This pop culture version could not be further from the truth. According to FBI, burglaries and home invasions happen between 10 am and 3 pm and most burglars enter right through your front door! Thus, it’s essential to have the proper home security systems in place all throughout your property. Motion sensors, security cameras, alarms – there are endless options when it comes to security systems. Since your home is your sanctuary, keeping tabs on what’s happening in it will give you the peace of mind and security you need. Smart home innovations allow you to keep your property safe and secure wherever you are at the touch of a button. Burglars and thieves most likely monitor your comings and goings before they strike. Since most of us have a regular 9-to-5 workday, burglaries often happen during daylight hours. These times are when household members are usually at work, school, or out running errands. Don’t let your home fall prey to a burglar. 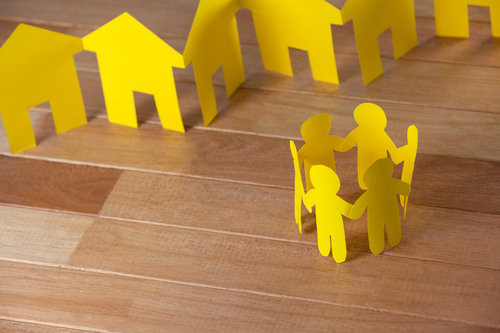 Being friendly with your neighbors will be beneficial when it comes to monitoring your residence – especially when you’re away for a vacation or for any more extended amount of time. Establish a neighborly bond; have a friendly chat with your neighbor once in a while, so when you’re away they can help keep an eye on your property, and you can do the same for them. Studies show that crimes are lower in tight-knit neighborhoods and communities. Your neighbors can be a useful part of your home security systems as they can provide a fresh pair of eyes and perspective. Additionally, burglars and intruders will pose as a salesman or repairman as a preliminary recon to further monitor how many people are in your home, how they can get inside and out, get a glimpse of where your valuable belongings are kept, etc. The essential step to take is to not open the door to them. However, if you find yourself in that situation, try not to let them inside your house. Home security systems have come along way. 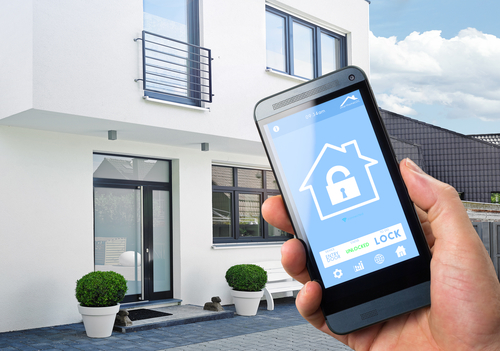 Today’s security innovations come with all the bells and whistles that allow for full integration with smart devices and home automation systems. You will want to make sure that whatever system you procure is compatible with the mobile device you are using. Here are the other factors to consider when selecting the best security system for your residence. Emails or push-based notifications? Motion-based alerts or alerts for any activities? You can pick from these notifications and alerts settings, so you never miss any activity within your home. There are many features available when it comes to security cameras. Since they are one of the critical components of effective home security systems, it’s important to know how to choose one. From indoor or outdoor placement, motion detection, resolution, storage capabilities, the field of vision, movement, and cost, we will delve deeper into security cameras in a future post. There are sensors for windows, water leaks, smoke, carbon monoxide, and many more. A smart home security system may include one or a few of those mentioned in their security package. Many of these systems will also include an alarm to alert law enforcement in the event of a break-in. Smart home products and technologies have allowed for a do-it-yourself installation to save on costs. However, for more comprehensive systems that require elaborate network integrations, consider getting advice from a professional to make sure that your systems are running smoothly. You don’t want to discover that you have a faulty system when you need it the most. Whether you are away for work or on vacation or even when you are at home and have your guard down, you need an extra layer of protection. There are evil entities who might attempt to break into your home, but that doesn’t mean you have to allow that to happen. Make it extremely tough for thieves, intruders, and burglars to get to your property! The first step to preventing home crimes is to eliminate opportunity. With the help of smart home security systems, you can effectively remove those chances. © 2019, Effective Home Improvement Schemes. All Rights Reserved.